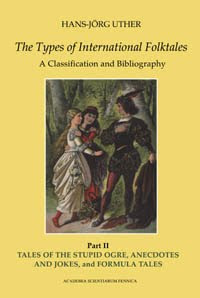 One of the most frequently asked questions on SurLaLune is about the ATU Folktale Classification System, and more specifially since my post last year, on the availability of the three books containing the new system. The books have been out of print for well over a year. So the good news is that the books are back in print. 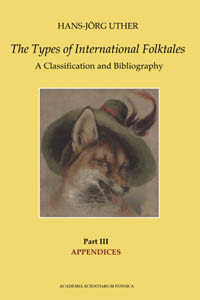 They are not inexpensive, but in comparison to other academic folklore books, they are very reasonable. Alas, the biggest expense is the shipping which equals the price of one book since they are shipped from Helsinki. So how do I get me some of this wonderful, important, critical folklore goodness you may ask... Go to the bookstore's main page and search for Uther in the search box. Hint: The site is not in English, but you can switch it over by clicking the British flag in the upper right hand corner. The English isn't perfect, but it's usable. 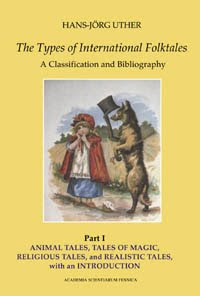 The three titles for The Types of International Folktales appear at the bottom of the search results. You do have to put each in your cart separately. Add them to your cart. The tricky part is that the bookseller doesn't have an online merchant option. You have to order the books and then wait for an email with an order total in euros and a fax number. You can fax your credit card information to them. I chose to create a unique number with my credit card company with a specified credit limit and then emailed it back to the bookstore as an attachment to control any identity theft issues. I had difficulty getting the fax number to work and resorted to this method instead and so far have had no issues. You may try to save money by ordering only Volume 1 (most of the popular fairy tales and other tales are in this volume) but Volume 3 is critical to using Volumes 1 & 2 since it contains the bibliographies. You won't know the citations in the first two volumes without it, in other words. You need those appendices. My books arrived today. They are in perfect condition and hardcover to boot which is a boon to the usage I will give them. I had to sign for them and am grateful to not be working from my dogeared copies of critical pages from a local library edition that has been checked out for months anyway so I couldn't access it recently. There has been no other edition in my area. And the price of ordering all three copies is still less expensive than photocopying the books if that is your inclination. Unless you have free photocopying and an assistant to do the painful copy work, but that isn't quite legal anyway whatever the fair use. I had some page copies of pages for marking up with my research, but I am happy to have the originals on hand now, too. Do you happen to know if the publisher might print more for availability through Amazon? I've ordered (i think) but haven't received the payment email.